Today’s adulting hack is all about the f-word. No, not that one; today we’re talking about fear. I’m not going to bore you with a lecture about human biology and our “fight or flight response” and why fear and anxiety are important. What’s important to remember is anxiety is our body’s natural response to danger. It’s an alarm that goes off when you feel threatened, under pressure, or facing a stressful situation. Fear and anxiety, in moderation, is a good thing. It motivates us to go to work for fear of not being able to pay our bills. It prompts us to run across the street to avoid traffic. Anxiety is no longer “a good thing” when it takes over your life and you’re suddenly making choices that keep you from having fun and taking chances. If you try and fight your fear you’ll never win. If you avoid your fear, you’ll never achieve your goals and your life will be spent trying to control something you can’t control. So what can you do you can accept that fear is going to be a part of your life and make it your friend. So what do we do when we make a new friend? We learn more about them. 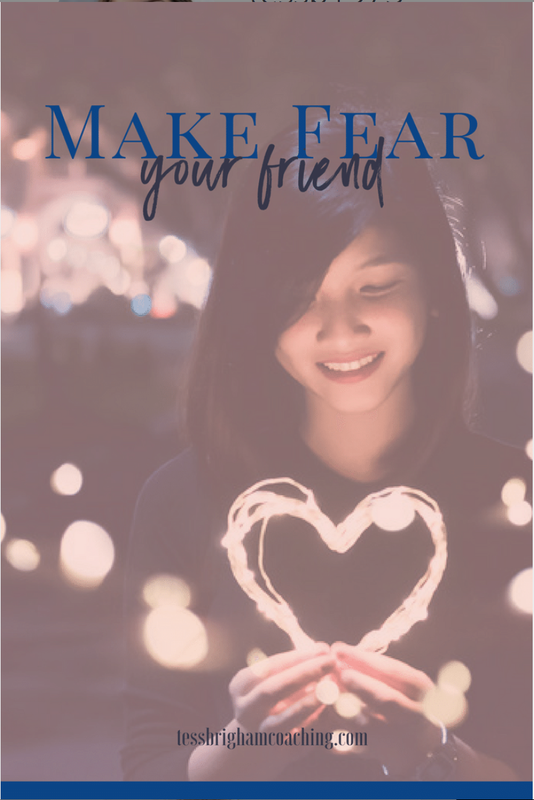 When you feel fear instead of avoiding it, ask yourself, “What is my fear trying to tell me?” By making fear your friend you’re seeing fear for what it is, an important response to a new and scary situation but not something you always have to avoid. Think about a current person or situation that’s causing you a lot of fear and anxiety. Now I want you to close your eyes and visualize yourself driving in a car. You’re at the wheel and fear is riding shotgun. You’re driving so you have the power to go in any direction you want. Now think about all the things that you’ve been feeling about this particular person or situation. Visualize fear repeating those thoughts to you as you’re driving along. Now ask yourself, “What is my fear trying to tell me?” Is fear being helpful and keeping you safe or is fear stopping you from doing or saying something really important to you? For the next week I want you to visualize this scene. At the end of the week, check in with yourself and see how you feel about this particular person or situation. The goal isn’t to get rid of your fear it’s to make it something that’s always with you but doesn’t need to control you.